Forest Lawn Mortuary and Memorial Park, Cathedral City, California. Jane Wyman (born Sarah Jane Mayfield; January 5, 1917 – September 10, 2007) was an American singer, dancer, actress, and philanthropist whose career spanned seven decades. She had also appeared as a guest on several talk and variety shows, and as a panelist on several game shows. Wyman's 61-year acting career began in 1932. She signed up with Warner Bros. at age 19, where she played the leading lady in most of her movies. As a popular contract player, her roles included starring alongside William Hopper in Public Wedding (1937), Ronald Reagan and Eddie Albert in Brother Rat (1938) and its sequel Brother Rat and a Baby (1940), Dennis Morgan in Bad Men of Missouri (1941), Marlene Dietrich in Stage Fright (1950), and Sterling Hayden in So Big (1953). She was also featured opposite Rock Hudson in Magnificent Obsession (1954). She received an Academy Award for Best Actress for her performance in Johnny Belinda (1948), and was a three-time winner of a Golden Globe. She achieved continuing success in the television soap opera Falcon Crest (1981–1990), in which Wyman played the lead role of villainous matriarch, Angela Channing. She was also the first wife of Ronald Reagan; they married in 1940 and divorced in 1949. Jane Wyman was born Sarah Jane Mayfield on January 5, 1917 in St Joseph, Missouri, to Gladys Hope (née Christian; Jun. 8, 1895 – Dec. 1960) and Manning Jeffries Mayfield (Jan. 12, 1895 – Jan. 21, 1922). Her father was a meal company laborer and her mother was a doctor's stenographer and office assistant. Wyman was the only child of this union and had no biological siblings, despite some erroneous bios saying she was the youngest of 3 children. Her parents were married in March 1916 in Jackson County, Missouri, and Wyman was born in January 1917. The 1920 census shows her to still be the only child from the marriage. The Mayfields divorced the following year. Although her birthdate has been widely reported for many years as January 4, 1914, research by biographers and genealogists indicates she actually was born 3 years later. The most likely reason for the 1914 year of birth is that she added to her age so as to be able to work and act while still a minor. She may have moved her birthday back by one day to January 4 so as to share the same birthday as her daughter, Maureen (January 4, 1941 – August 8, 2001). The 1920 census, though, has her at three and living in Philadelphia. After Wyman's death, a release posted on her official website confirmed these details. In October 1921, her mother filed for divorce, and her father died unexpectedly the following year at age 27. 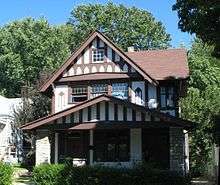 After her father's death, her mother moved to Cleveland, Ohio, leaving her to be reared by foster parents, Emma (1866–1951) and Richard D. Fulks (1862–1928), the chief of detectives in Saint Joseph. She took their surname unofficially, including in her school records and, apparently, her first marriage certificate. Her unsettled family life resulted in few pleasurable memories. Wyman later said, "I was raised with such strict discipline that it was years before I could reason myself out of the bitterness I brought from my childhood." In 1928, aged 11, she moved to southern California with her foster mother, but it is not known for certain if she attempted a career in motion pictures at this time, or if the relocation was because some of Fulks' children also lived in the area. In 1930, the two moved back to Missouri, where Sarah Jane attended Lafayette High School in Saint Joseph. That same year, she began a radio singing career, calling herself "Jane Durrell" and adding years to her birthdate to work legally, as she would have been underaged. After dropping out of Lafayette in 1932, at age 15, she returned to Hollywood, taking on odd jobs as a manicurist and a switchboard operator, before obtaining small parts in such films as The Kid from Spain (as a "Goldwyn Girl"; 1932), My Man Godfrey (1936), and Cain and Mabel (1936). After changing her name from Jane Durrell to Jane Wyman, she began her career as a contract player with Warner Bros. in 1936. Her big break came the following year, when she received her first starring role in Public Wedding. She hosted an anthology television series, Jane Wyman Presents the Fireside Theater, for which she was nominated for an Emmy Award in 1957. The ratings steadily declined, however, and the show ended after three seasons. She was later cast in two unsold pilots during the 1960s and 1970s. After those pilots were not picked up, Wyman went into semiretirement and remained there for most of the 1970s, although she did make guest appearances on Charlie's Angels and The Love Boat. In the spring of 1981, Wyman's career enjoyed a resurgence when she was cast as the scheming Californian vintner and matriarch Angela Channing in The Vintage Years, which was retooled as the primetime soap opera Falcon Crest. The series, which ran from December 1981 to May 1990, was created by Earl Hamner, who had created The Waltons a decade earlier. Also starring on the show was an already established character actress, Susan Sullivan, as Angela's niece-in-law, Maggie Gioberti, and the relatively unknown actor Lorenzo Lamas as Angela's irresponsible grandson, Lance Cumson. The on- and off-screen chemistry between Wyman and Lamas helped fuel the series' success. In its first season, Falcon Crest was a ratings hit, behind other 1980s prime-time soap operas, such as Dallas and Knots Landing, but initially ahead of rival Dynasty. Cesar Romero appeared from 1985 to 1987 on Falcon Crest as the romantic interest of Angela Channing. In 1938, Wyman co-starred with Ronald Reagan in Brother Rat (1938), and its sequel Brother Rat and a Baby (1940). 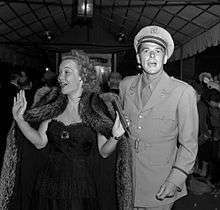 They were engaged at the Chicago Theatre, and married on January 26, 1940, at the Wee Kirk o' the Heather Church, Glendale, California. She and Reagan had three children; Maureen Elizabeth Reagan (1941–2001), their adopted son Michael Edward Reagan (born March 18, 1945), and Christine Reagan (born prematurely on June 26, 1947, and died later the same day). This event soured their marriage irreparably. Wyman, who was a registered Republican, stated that their break-up was due to a difference in politics (Ronald Reagan was still a Democrat at the time). She filed for divorce in 1948; the divorce was finalized in 1949. Pending the expected inauguration of Donald Trump, Ronald Reagan is the only U.S. president to have been divorced, and Wyman was the first and only former wife of a United States president who was still living at the time her former husband became president. Although she remained silent during Reagan's political career, she told a newspaper interviewer in 1968 that this was not because she was bitter or because she didn't agree with him politically. "I've always been a registered Republican. But it's bad taste to talk about former husbands and former wives, that's all. Also, I don't know a damn thing about politics." In spite of her divorce, she still voted for her former husband in the 1980 and 1984 presidential elections, according to her former personal assistant. After Falcon Crest ended, Wyman made a guest appearance on the CBS series Dr. Quinn, Medicine Woman and then completely retired from acting, spending her retirement painting and entertaining friends. A recluse, Wyman made only a few public appearances in her last years in part due to suffering from diabetes and arthritis, although she did attend her daughter Maureen's funeral in 2001 after the latter's death from cancer. (Ronald Reagan was unable to attend due to his Alzheimer's disease.) She also attended the funeral of her long-time friend Loretta Young in 2000. Wyman broke her silence about her former husband upon his death in 2004, attending his funeral and issuing an official statement that read, "America has lost a great president and a great, kind, and gentle man." I have lost a loving mother, my children Cameron and Ashley have lost a loving grandmother, my wife Colleen has lost a loving friend she called Mom and Hollywood has lost the classiest lady to ever grace the silver screen. 1968 Red Skelton Hour, TheThe Red Skelton Hour Clara Appleby Episode: "18.9"
1972 Bold Ones: The New Doctors, TheThe Bold Ones: The New Doctors Dr. Amanda Fallon Episode: "Discovery at Fourteen"
1973 Bold Ones: The New Doctors, TheThe Bold Ones: The New Doctors Dr. Amanda Fallon Episode: "And Other Springs I May Not See"
1 2 3 4 Actress, Philanthropist Jane Wyman Dies. Retrieved September 10, 2007. ↑ Edwards, Anne. Early Reagan: The Rise to Power. William Morrow & Co (November 1990); ISBN 0-688-06050-1. ↑ Bubbeo, Daniel. The Women of Warner Brothers: The Lives and Careers of 15 Leading Ladies. McFarland & Company (October 2001); ISBN 0-7864-1137-6. ↑ Colacello, Bob. Ronnie and Nancy: Their Path to the White House – 1911 to 1980. Warner Books; 1st Warner Books Edition (2004); ISBN 0-446-53272-X. ↑ Wyman is listed in the U.S. Census taken in April 1930 as being 18 years old, when she was actually 13. U.S. Census, April 1, 1930, State of California, County of Los Angeles, City of Los Angeles, enumeration district 328, p. 13A, family 503. ↑ U.S. Census, April 15, 1910, State of Missouri, County of Buchanan, enumeration district 54, p. 5-A, family 99. California death index, 1940–1997. ↑ Jane Wyman, 90, Star of Film and TV, Is Dead, The New York Times, September 11, 2007. Fulks' position was upgraded to mayor of Saint Louis by the Warner Bros. publicity department when his foster daughter became a successful actress. Source: Jane Wyman (obituary), The Times (London), September 11, 2007. ↑ Jane Wyman (obituary). The Independent (London), September 11, 2007. 1 2 Silverman, Stephen (September 10, 2007). "Falcon Crest Star Jane Wyman Dies at 93". People. Retrieved 2011-01-15. ↑ Biography. Jane Wyman. Retrieved on 2014-04-12. ↑ Jane Wyman biography. Official Jane Wyman website. ↑ "Film Actress Wins Divorce", Los Angeles Times, December 6, 1938, p. 3. ↑ "Dispute Over Theatre Splits Chicago City Council". The New York Times. May 8, 1984. Retrieved 2007-05-17. ↑ Oliver, Marilyn (March 31, 1988). "Locations Range From the Exotic to the Pristine". The Los Angeles Times. ↑ "Biography". 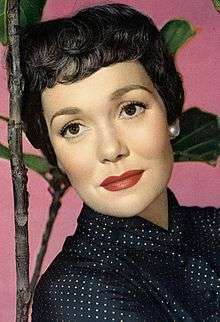 Jane Wyman. Retrieved 2011-09-05. ↑ "Reagan: Home". HBO. Retrieved 2011-09-05. ↑ "Jane Wyman Divorced", The New York Times, March 10, 1965. ↑ "Frederick M. Karger, 63, Arranger and Composer", The New York Times, August 6, 1979. ↑ Paul Kengor, God and Ronald Reagan: A Spiritual Life. Harper Collins Publishers (2004). p. 50. ↑ "Johnny Belinda Actress Jane Wyman Dies", USA Today, September 10, 2007. ↑ Oscar-Winner Jane Wyman, Ronald Reagan's First Wife, Dead at 93. Fox News. September 10, 2007. ↑ Alan Petrucelli, Morbid Curiosity: The Disturbing Demises of the Famous and Infamous. Penguin Group (2009). p. 5. ↑ "TOPS AT HOME.". The Courier-Mail. Brisbane: National Library of Australia. 31 December 1949. p. 4. Retrieved 4 October 2014. ↑ "Those Were the Days". Nostalgia Digest. 35 (2): 32–39. Spring 2009.